Disturbed is excited to announce the second leg of the Evolution Tour in Europe, which is marked in bold below! The general on-sale for all newly-announced European shows is Friday, November 23 at 10am local time HERE. 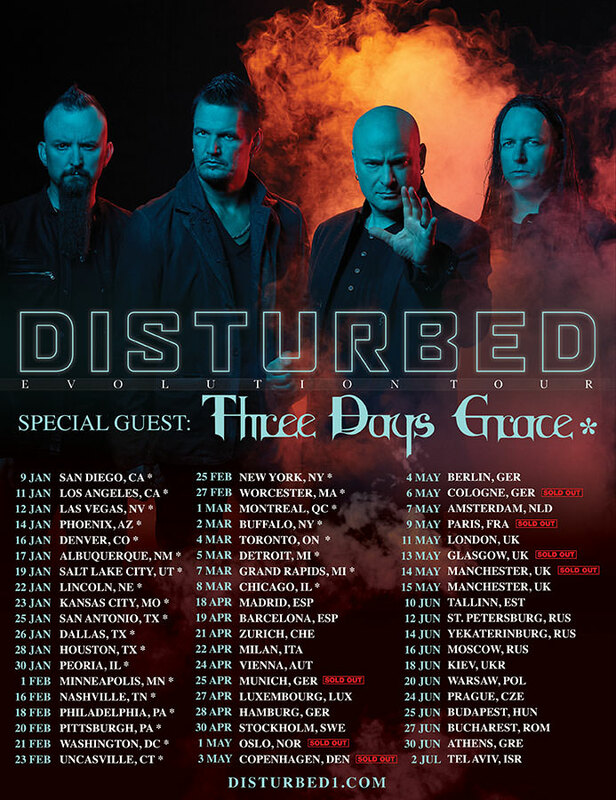 If you are subscribed to Disturbed’s newsletter at the time that this news item is published, you will receive a ticket pre-sale password for the second leg shows. The ticket pre-sale will begin November 20 at 1pm local time HERE.